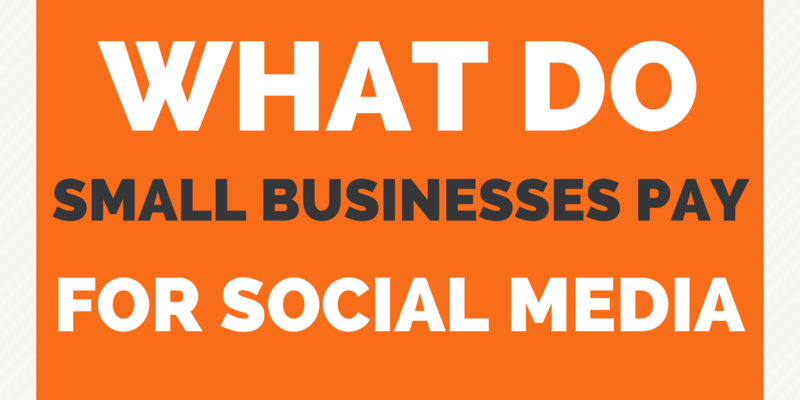 Are you curious to discover what do small businesses pay for social media management? According to Statista, 47% of small businesses spent less than $10,000 on marketing in 2017. That’s only $833 per month. Most social media companies charge a minimum of $500 per month which leaves little leftover in the budget for lead generation, website improvements or any other marketing activities. There’s a disconnect here where marketing agencies charge too much for social media marketing delivering improvements in brand awareness when most small businesses are hoping their marketing will improve lead generation and increase repeat business. The other budget-burning trend is spending huge advertising budgets on Facebook that provide no tangible results for the customer. Anyone can spend a big budget on Facebook ads and produce a report that shows ‘reach’ and ‘impressions’ and maybe even some ‘engagement’ in the form of ‘likes.’ Brand awareness may be fine for a big Corporate brand, but if companies who choose to sell to small businesses and peddle these numbers as evidence of a successful campaign are snake oil salesmen. I’ve seen some shameful reports from other marketing agencies that my customers have shared with me. Month after month of large ad budgets being spent with only reach and a low percentage of likes relative to those large number of bought impressions. Similar failing content from a failed strategy being churned out with no improvement to the engagement rate over time. No change in strategy. It seems the only strategy is to earn their fee for managing ads and putting in the minimal amount of effort creating social content and blasting it with a good sized ad budget. Customers get intoxicated by impressions in reports. Either these marketing agencies don’t care about their customers, or they have so little business knowledge that they actually believe that they are providing value. There are reputable and skilled marketers who set up high converting and high value campaigns, but I’m seeing too many small businesses having their lack of digital knowledge being exploited. What should the going rate be for social media for small business? Lots of social media companies charge you more for each social platform you add. Many have setup fees, charge extra for creating and sharing image posts and are so lazy, they don’t even offer a daily post for a fair price. As Small Business HELPaholics, we’ve been listening to the challenges small business owners face with marketing and designed our pricing to fit their needs, not ours. That’s why we offer one daily post on all of your social platforms for $150 per month. No gotchas. Our biggest competitor claims to provide social media for small business for $99 per month, but when you look at the small print, you discover you have to pay extra for more than 2 platforms. We’ll post to any account you connect, including LinkedIn personal profile(s) and your business page for no extra charge! They charge you an extra $100 per month for 5 Instagram posts per week. We include Instagram 7 days a week for no extra charge. NextWhat do small businesses need?